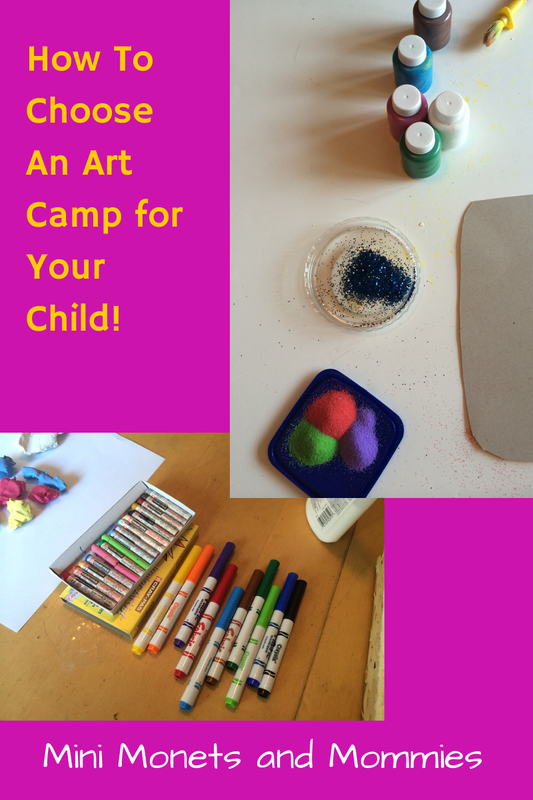 How do you pick the best art class for your young child? There isn't one easy answer to this question. Word of mouth can go a long way, but just because one organization's class helped turn your neighbor's 4-year-old from a scribbler to a masterpiece-maker doesn't mean that it will do the same thing for your little one. As a museum-based children's art teacher for the better part of the last decade (and the mother to a child who decidedly does not like art), I've come to learn a few lessons on how to match the right program with the right kid. Although I teach year-round, it was always the summer art camps for preschoolers that proved the best at showing how the match-up between the child and the class could make things go impressively well or terribly wrong. One time at art camp, there was a boy who absolutely, positively did not want to come to class. He wasn't shy, and he wasn't scared. he simply didn't like art. How do I know? He told me so. he also told me that his mommy made him go to class and had told him that he'd learn to like art because she loved art so much. You are not your child, and your child is not you. If you're choosing an art class for your child because you want to change his mind, it isn't likely to work. If anything it may make matters worse and will definitely disrupt the other children's learning. Instead, slowly introduce a few art projects at home or take your child to the museum or a family day out. One time at art camp, there was a teacher who knew quite a lot about art, but very little about child development. Ask those who are in the know (i.e., the program administrators) about the teaching staff. The staff should have training in art, as well as teaching. If your child's teacher has five MFA's and has exhibited in the coolest galleries around town, it won't make a difference when he's trying to wrangle 10 tiny tykes who aren't getting it when he's telling them how to create realistic highlights on their still life paintings. Find a happy medium between an artist and a teacher (aka the teaching artist). One time at art camp, there was a child who painted himself from limb to limb. And, it was ok. While in the context of what we were doing this was acceptable (not exactly wanted, but it really wasn't a colossal deal), in some schools it would be grounds for expulsion. If you want a free-to-explore environment, choosing an art program that is strict and structured isn't the way to go. One time at art camp, the students all went into the museum's art galleries and looked at real art. Ok, this is a bit of an understatement. It's more like every day at art camp the children looked at real art. This brings up the questions, "Do you just want your child to make art or do you want her to also look at it too?" Art viewing provides a host of benefits, increasing your child's critical thinking skills, giving her visual literacy tools and introducing her to the world of art at an early age. If this is something that you feel is important for your child to do, you'll need to choose a museum-based program. "Staff should have training in art, as well as teaching"
Knowledge about child development ensures that the activities are age appropriate.